Surly Destination Brewery repurposed a former industrial waste site. The attention on Minneapolis’ Surly Destination Brewery pours in from all over. From the engineering community. From the craft beer enthusiasts. From … the dentist? 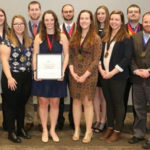 Such is the success of the brewery, which recently received a Best Overall Project honor in the 2016 ASCE Architectural Engineering Institute Professional Project Awards. “It’s been immensely satisfying both personally and professionally,” Harris said. Surly craft beer has been a Twin Cities favorite for years. Surly founder Omar Ansari had broader ambitions, though, and began looking to develop a beer hall–tap room–brewery combination. He found a prime location, too – right between Minneapolis and St. Paul, near the University of Minnesota, along bike paths and a new light rail line. It was a contaminated site. 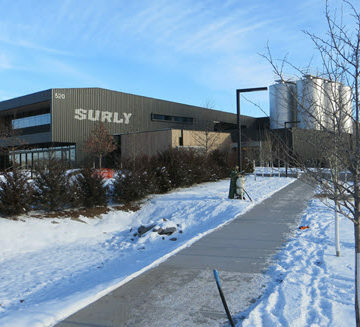 Surly Destination Brewery has immediately become a popular spot in Minneapolis. Harris and her team helped make it a reality. The architects, structural engineers, and environmental engineers collaborated throughout the process to develop and install a sub-slab vapor barrier membrane and passive vent system to account for the 70-year-old industrial waste seeped into the ground. The project also followed LEED guidelines, and much of the existing foundations at the site were recycled and incorporated into the design. 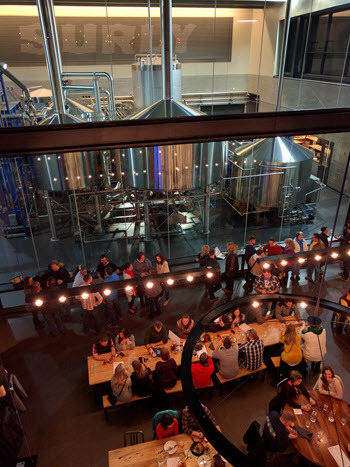 Harris described the brewery as a kind of “beer cathedral.” The brewing process is on display, with only a giant glass wall separating the brewery from the beer hall. A sliding door then opens from the beer hall into the beer gardens for a seamless people flow. The lighting design also required collaboration from the architectural and engineering team as a series of LED lights are concealed in openings in the roof which help create a dramatic, theatrical feel to the space. The lighting also showcases the brewery’s gift shop, art gallery, and event space. 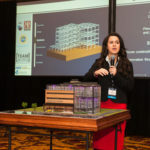 The AEI Professional Project Award competition focuses on the design and construction of high-performance buildings, including structural, mechanical, and electrical systems, as well as construction management and architectural engineering integration. 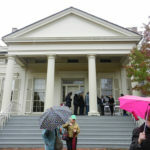 The projects were reviewed by a committee of 12 jurors, among them distinguished members of the design and construction industry and representatives from AEI’s Board of Governors and Academic Council. • PPL Center, Alvin H. Butz Inc.